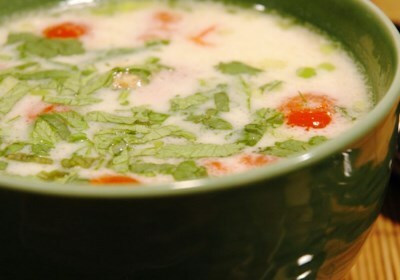 Do not underestimate how a simple recipe can create a fragrant, warming and delicious curry-tinged soup. 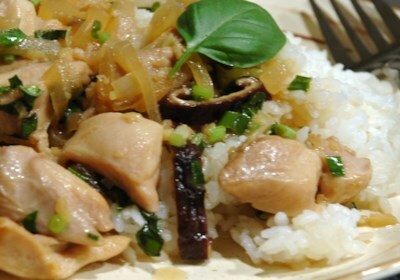 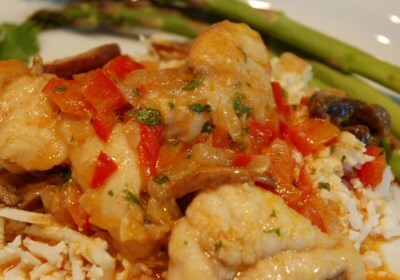 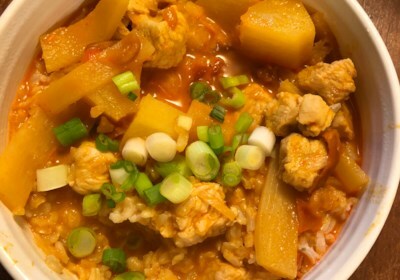 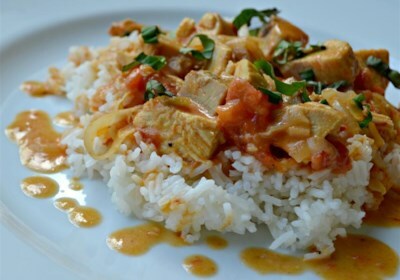 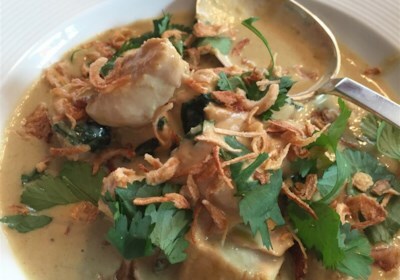 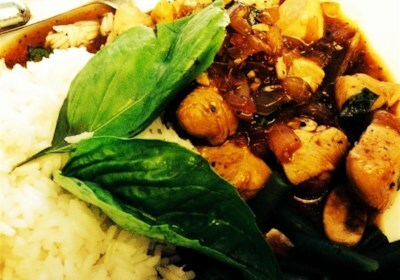 This recipe can be made with any firm white fish, and is lovely served over rice. 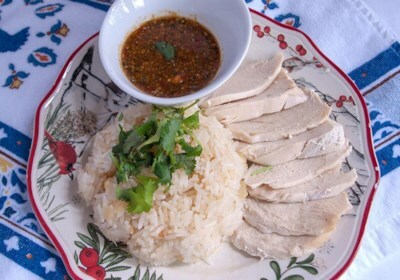 In this healthy version of the popular Thai dish, khao man gai, boiled chicken is served over aromatic rice with a spicy, pungent sauce. 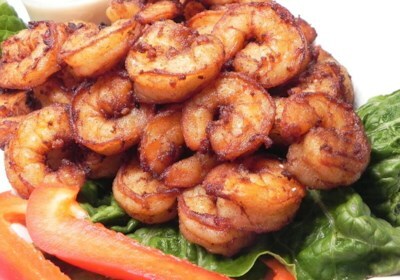 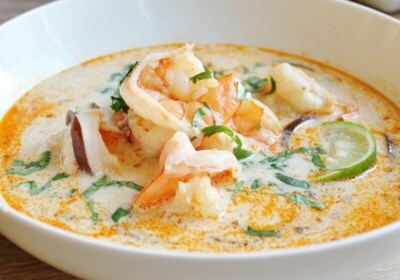 Prawns are coated in tapioca flour, fish sauce, soy sauce, garlic, and white pepper, then fried with peel intact in this authentic Thai recipe. 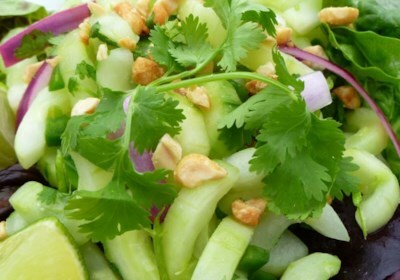 Like green papaya salad (som tam), this refreshing dish gets its flavors from Thai chilies, dried shrimp, long beans, and cherry tomatoes. 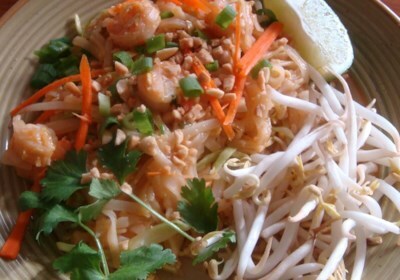 This Thai-inspired rice noodle dish is seasoned with fish sauce, oyster sauce, and soy sauce. 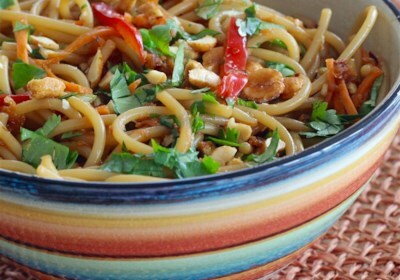 Red pepper flakes add a bit of heat, while barely cooked veggies add color and crunch. 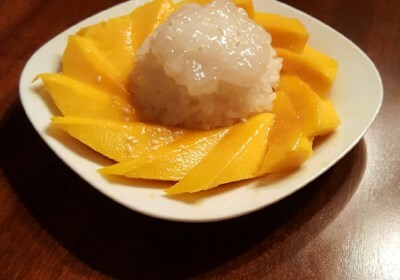 Sweetened coconut milk flavors sticky rice, which is then served with fresh mango in this deliciously refreshing take on the traditional Thai treat. 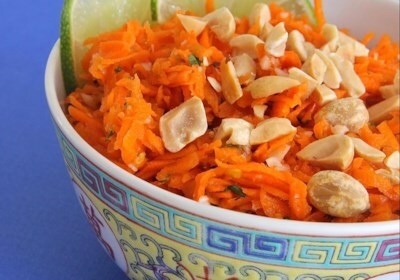 This recipe for Thai carrot salad with peanuts is a perfect balance of sweet and spicy with hints of garlic and curry in the dressing. 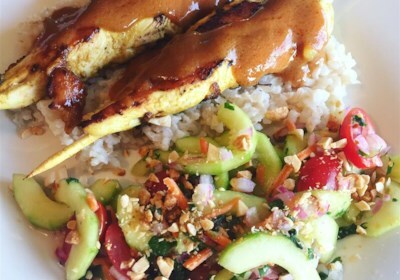 The closest to my favorite satay served at my Thai restaurant. 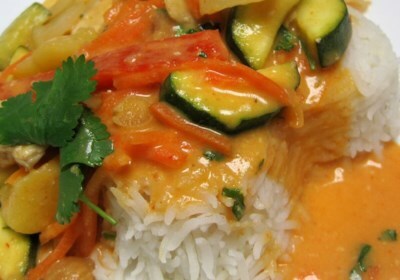 Prep is quick- best if left to marinade for a few hours or more. 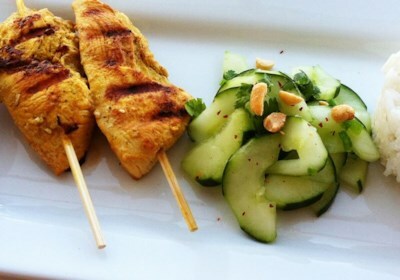 Skewer up for the grill or saute on the stove! 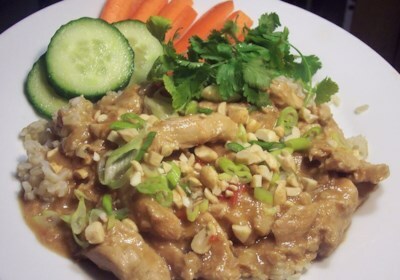 I buy the chicken tenderloin strips which are already boned, skinned and a nice size piece without slicing to save time. 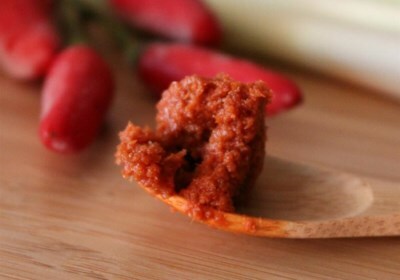 Homemade Thai-style red curry paste contains multiple layers of flavor and can be customized to meet your tastes. 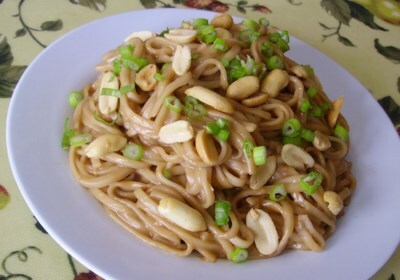 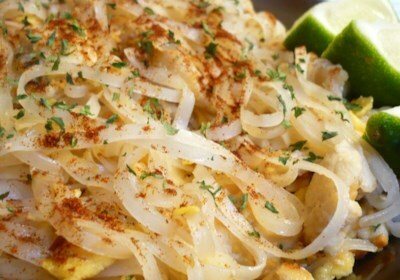 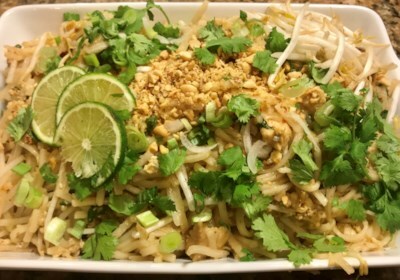 This is a traditional Pad Thai recipe used by a friend's mother. 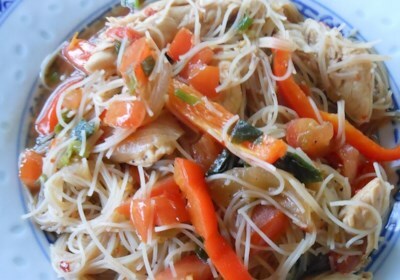 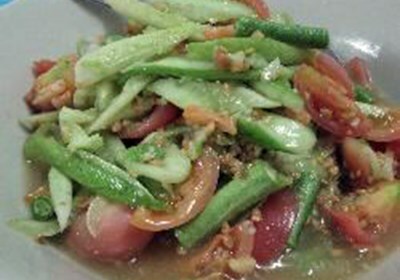 It has a sauce of fish sauce, sugar, vinegar and red pepper. 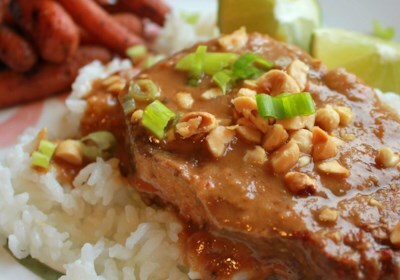 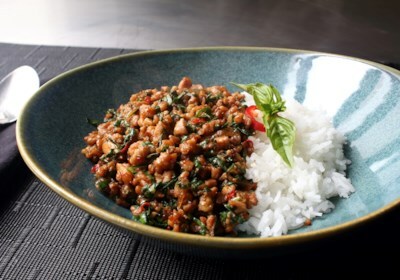 This easy no-cook peanut sauce has a terrific authentic Thai taste. 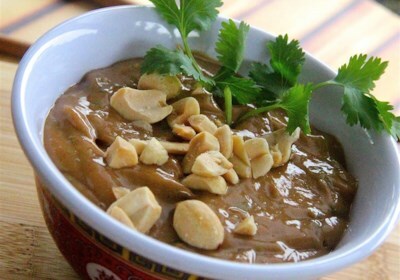 It is spicy and peanutty, and is perfect as a dipping sauce for chicken, shrimp, and beef...or even to use tossed with warm cooked noodles for a quick pasta dish.